Learn from and pass it on with what you see at Passiton.com. Also, here are some encouraging scriptures that will be of help to you. Matthew 11:5 The blind receive sight, the lame walk, those who have leprosy are cleansed, the deaf hear, the dead are raised, and the good news is proclaimed to the poor. 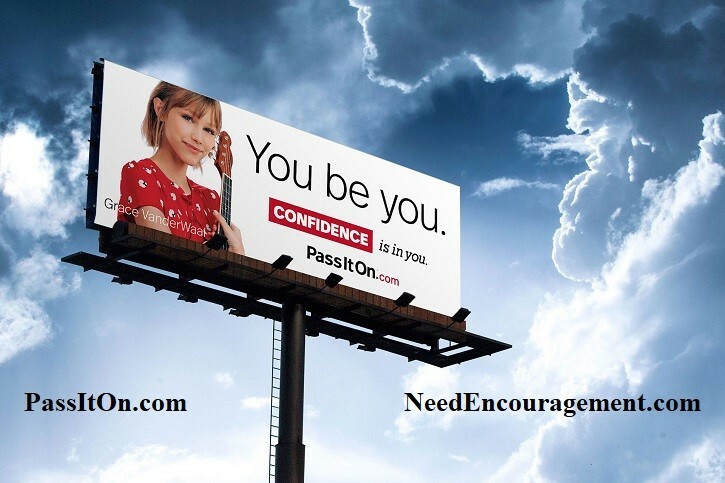 Their billboard campaign features positive role models and uplifting values. Since they started in 2000, they have made over 70 billboards. Which one is your favorite? Real Stories About Real People! The values we live by are worth more when we pass them on. Here are some inspiring stories featuring real people doing some fantastic things, possibly just like you could do, or are doing right now.